Whether your market potential lies offshore, in key U.S. markets or closer to home, Edmonton’s integrated road, rail, air and pipeline infrastructure offers outstanding access to your suppliers and customers. From mining equipment to fresh produce, Edmonton can deliver the freight or cargo services you need. 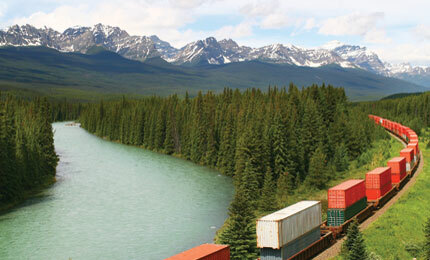 Vancouver - Edmonton is linked by road, rail and pipeline to Port Metro Vancouver, Canada’s largest west coast port in Vancouver, B.C. Prince Rupert - The Port of Prince Rupert Container Terminal is an ultra-modern, high-capacity North American container facility connected to the North American continent by CN's network. It is the closest port to Asia by up to 58 hours of sailing time compared to any other North American west coast port. Kitimat - Edmonton is also connected by road and rail to the Port of Kitimat, the third largest deep water port on the west coast and the proposed location for a major LNG marine terminal re-gasification facility and tank farm.